Sue is very pleased to announce that We Other is being re-launched next month with a brand new cover and exciting new content! 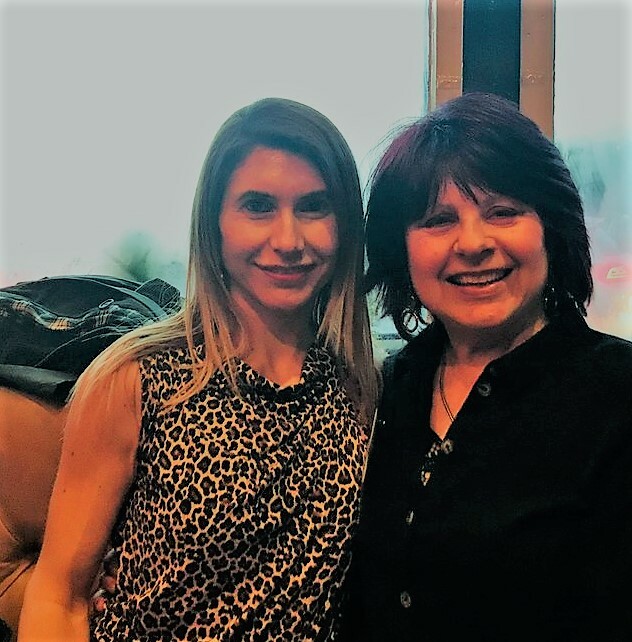 While we wait for the cover reveal CLICK HERE to read a great post about We Other from super book blogger and reviewer @annecater Check her out on Twitter. Sue is very happy to announce that her latest book, Second Skin, has a release date! Second Skin will be published by Endeavour Media on Thursday 18th July 2019. Cover reveal coming soon! 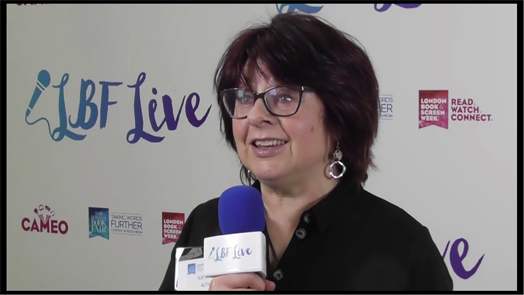 Sue had the pleasure of visiting the London Book Fair this month to connect with publishers and other authors. 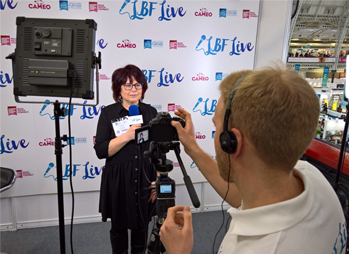 Click the image to watch short highlights from Sue's visit to the London Book Fair 2019. 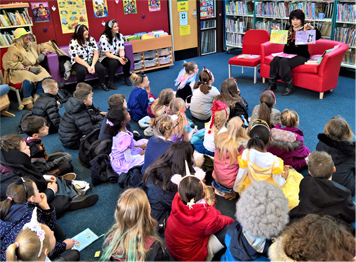 Sue met over 300 enthusiastic young readers and various adults and teachers yesterday at Duston Primary and Duston Library. Fab costumes everyone! 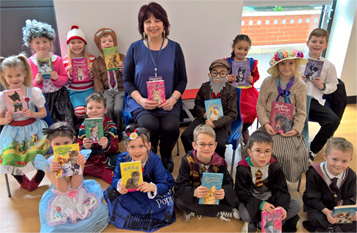 A wonderful turn out for World Book Day 2019. Magic Animals go to Romania! 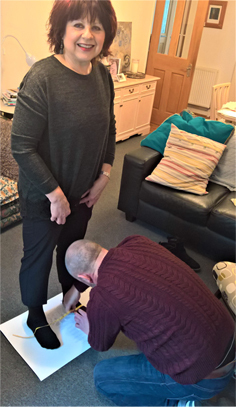 Sue being measured for bespoke shoes by Master Last Maker, Michael of Springline. All in the interests of research for her novel in progress set in Victorian Northamptonshire and the shoe trade. 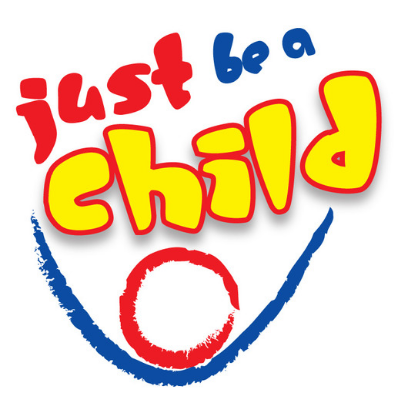 Sue supports Just Be a Child, a charity that inspires and supports Kenyan children to read. The charity is looking for writers to donate books so please click the logo to take a look at their website if you can help. People often ask me for tips about writing and how to get published. So here are some thoughts on the subject. I hope you find them useful and constructive. "I loved the intricate weaving of the faery and mundane worlds, the depth of the characters, and the honest clarity of the emotions portrayed. I will very much be looking forward to a continuation of this story!" I have been disappointed by some books about the Faery Realm in the past that just haven't quite delivered. Thankfully, "We Other" delivers by the bucket-load! Sue Bentley's writing is dark and atmospheric, and a hint of menace drips through it. These are most definitely not the faeries of the Disney or Flower Fairy variety. They are cruel, and unpredictable, and filled with a dark malevolence. The descriptions in the book are so vivid that I became totally immersed in what I was reading, and could picture the settings as clearly as the back of my own hand. Where do I begin with such a wonderful novel! We other is a dark fairytale mixed with modern day life. The storyline is fast paced and reeled me in from the first chapter. The story switches from a few different character perspectives. Jess the main character, has a troubled life with an alcoholic mother, my heart ached for her and the situation she's in. Jess has an inner strength and a hidden secret that even she isn't aware of... We other is an epic read, it deals with gritty issues from the modern day world intertwined with a dark magical element. I could not put this book down. This is the perfect book to get lost in but be warned, it is addictive!